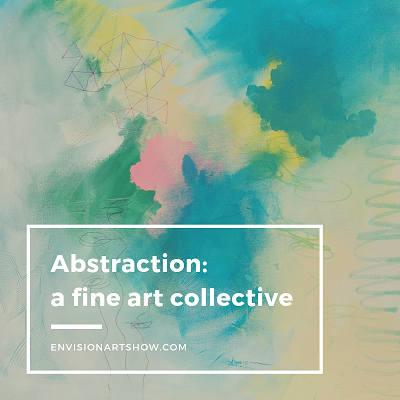 Now accepting submissions for ABSTRACTION: an online exhibition in abstract expressionism. View prospectus and apply online at www.envisionartshow.com/abstraction. Accepting all fine art submissions that clearly employ and represent the theme of non-objective and/or non-representational abstract and abstract expressionism. Eligible media include, but are not limited to: drawing, illustration, painting, pastels, block/ink print, digital, photography, pottery, sculpture, assemblage, metal work, jewelry design and contemporary craft. If a genre, medium or material you specialize in is not listed, please email envisionartshow@gmail.com to provide specifics about your work. There is a $10 (USD) non-refundable/non-transferable fee, for up to six (6) images. Deadline to submit is February 22, 2019. Accepted artists will be notified no later than February 26, 2019. Envisions Arts will announce one Best In Show for the exhibition. Winner will be mailed a certificate of Best In Show, and will have a featured article, complete with Q&A, in our own online arts publication, Envisions Arts Magazine.